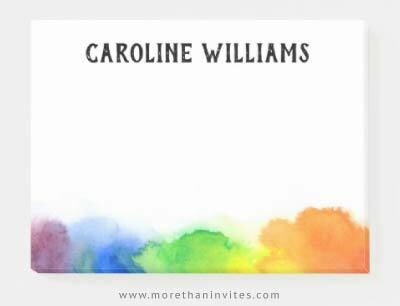 Post-it® notes / sticky notes featuring a rainbow colored watercolor border at the bottom. Customizable name. A bright, fun and colorful design for everyone. Available from Zazzle.